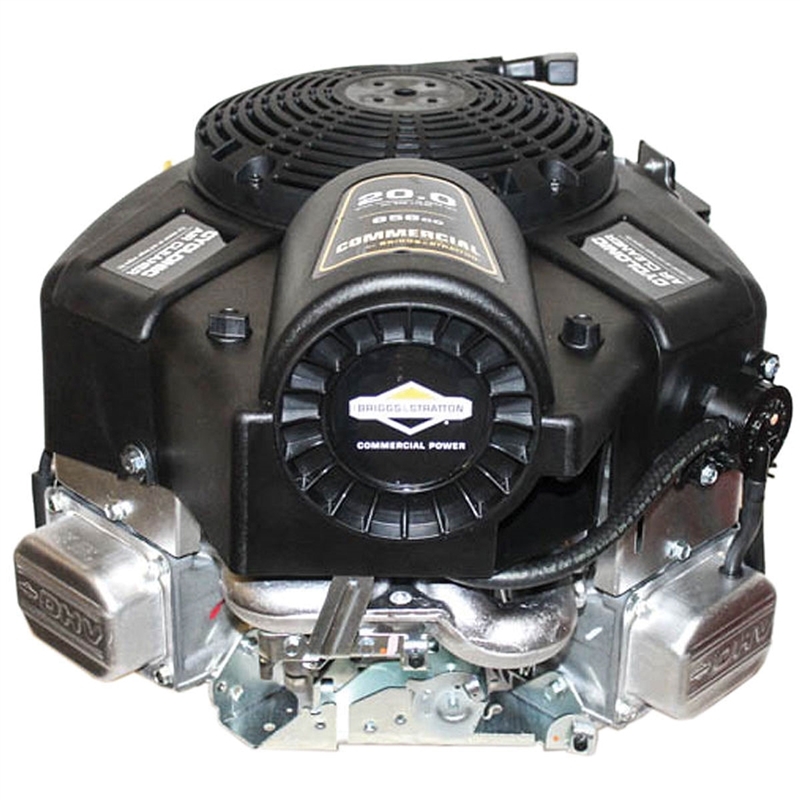 At Carroll Stream, we carry the highest-quality Briggs & Stratton 20HP motor designed for a wide range of industrial and commercial applications. This is the perfect 20HP motor for walk-behind mowers, powered saws and other heavy-duty projects. Our Briggs & Stratton motor comes with everything you need for fast, easy installation and a handy user manual for troubleshooting any issues. The Briggs & Stratton Turf Professional motor runs on unleaded gas, is compact and lightweight, and has a heavy-duty recoil start mechanism that makes this motor fast and easy to start. This powerful four-stroke OHV small engine fits into compact engine compartments and is a great replacement for many motors, including those from Kohler and other top brands. Our Briggs & Stratton gas engine is a versatile, powerful solution for your toughest jobs and is built to withstand the most rugged treatment. Buy now to take advantage of our affordable prices and fast, free shipping. *Replaces many engines on walk behind mowers. 17.5 x 19 x 20 in.